One of the biggest issues the Rail Trail faces today is the gap between New Bern Station and East/West Station. It’s an area exploding with apartments, incoming retail at Atherton Mill and established destinations like Sycamore and Publix. 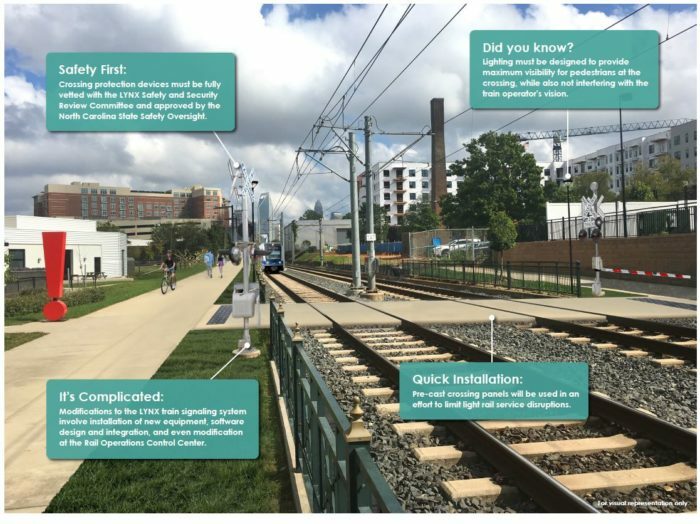 But there’s no way to get from one side of the rail to the other between Tremont and Remount, and it has become quite a safety risk with people illegally crossing the tracks. A new pedestrian crossing will finally connect both sides of the track. 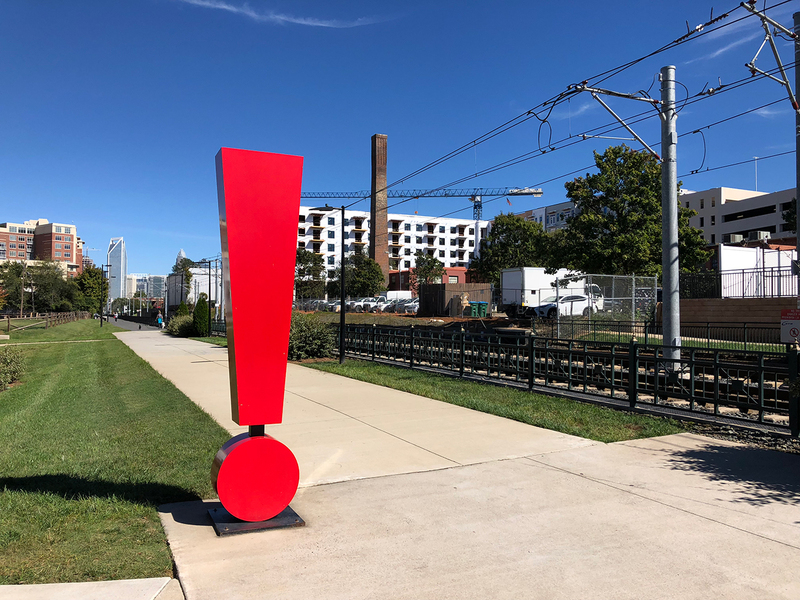 The South End Connector will be a fully signalized, at-grade pedestrian and bicycle crossing connecting the two sides of the Rail Trail near Publix and Sycamore. The project, currently at the end of the planning phase, is fully funded and expected to cost around $2 million. It’ll feature gates timed with the train to allow the train to maintain speed and increase overall safety. 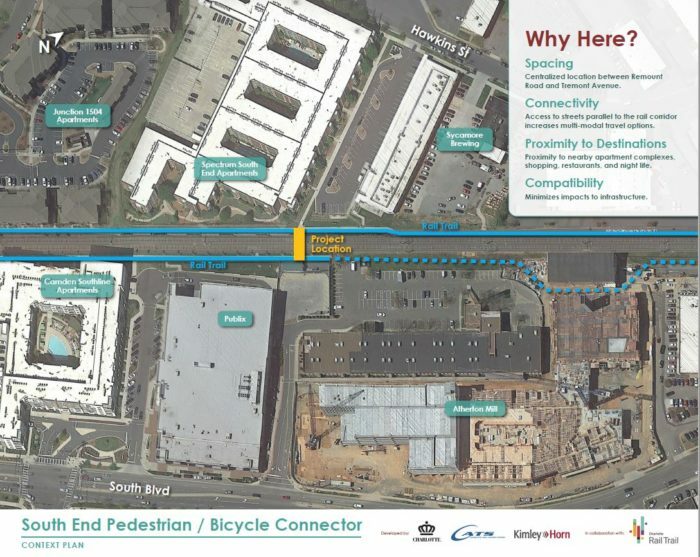 Here’s a quick breakdown of what to know now about the new South End Connector. When can I expect this? Other than what I can assume to be a laundry list of bureaucratic red tape, they needed to secure the funding, wait for the light rail extension to be done, allow for future safety testing and coordinate to avoid as much Blue Line interruption as possible. Isn’t it shortsighted to just do a crossing? In my opinion, yes. They should have had a stop when the original line was built. However, there was virtually nothing here when it was first built so it never happened. The crossing is makeup on a pig but it addresses an immediate need MUCH faster than it would take for a station. There are plans to add a station here that would incorporate the pedestrian crossing but that’s much farther out.